Italy’s Dr. Giorgio Carnevale has honored me by naming an extinct genus of Eocene “round bellied” herring after me. 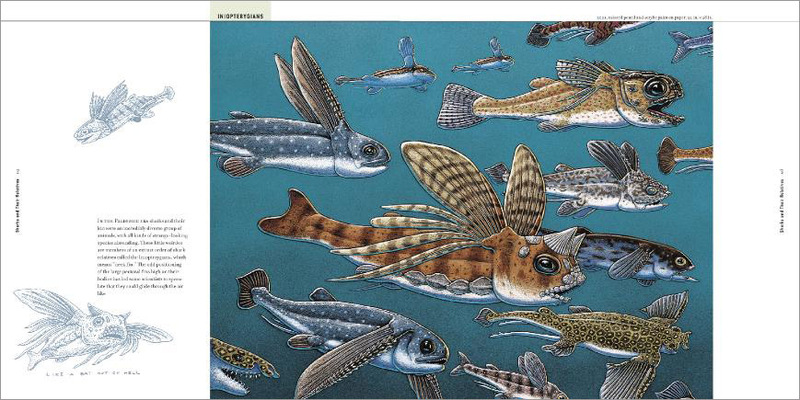 The paper was published earlier this spring, so I did a small drawing of my extinct fish and sent it to Giorgio in thanks. We propose to write and illustrate a book entitled, Cruisin’ the Eternal Coastline: The Best of the Fossil West from Baja to Barrow. 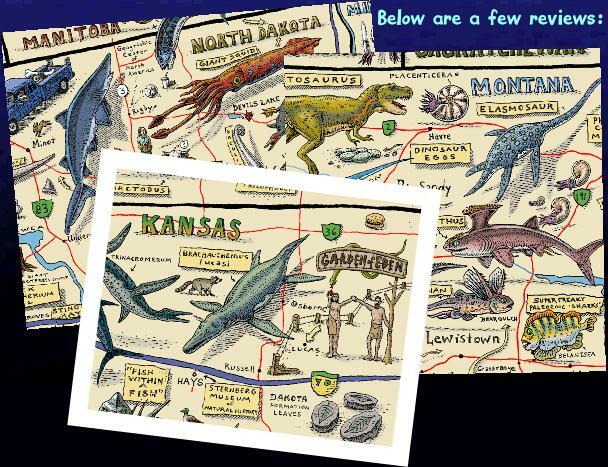 This 75,000 word, full-color book will be 204 pages long and will feature 20 paintings, hand-drawn maps for each state, more than 100 small drawings, and over 100 photographs. This book will cover the West Coast, reaching from Baja, California to Barrow, Alaska with a focus on the population-rich areas of California, Oregon, Washington, British Columbia, and Alaska. Our goal is to create a widely distributed book that is accessible to a broad range of audiences and that opens their eyes to the vast span of geologictime and evolutionary history that surrounds them. This is a collaborative effort that combines the science writing of Kirk Johnson and the art of Ray Troll to create a popular book about the geology and paleontology of the West Coast of North America. Johnson is a geologist, paleontologist, science writer, and the Vice President of the Denver Museum of Nature & Science. 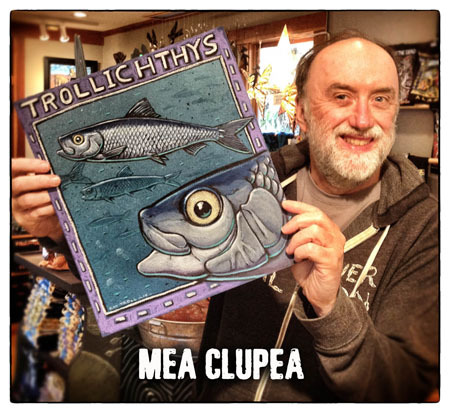 Troll is a fine artist and musician who is widely known in Alaska and the Pacific Northwest for his iconic public art, books, t-shirts, and imagery. 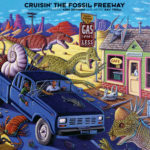 Our previous collaborations have included the award-winning 2007 book, Cruisin’ the Fossil Freeway: An Epoch Tale of a Scientist and an Artist on the Ultimate 5,000-mile Paleo Road Trip and its associated hand-drawn Rocky Mountain wall map, as well as museum exhibits, music, and magazine articles. Our collaborative style is colorful, fun, and engaging. We seek to make art and science work together to help our readers grasp the magnitude and significance of the biggest story of all: the evolution of life on our planet. 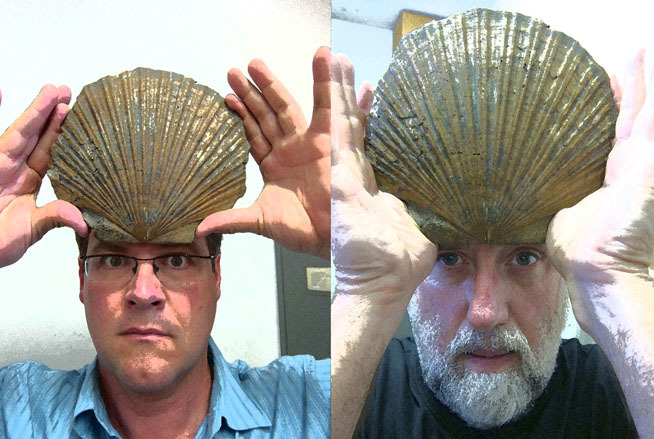 Kirk and Ray horsing around with Pliocene aged Mega-Scallops from the sediments of San Diego ( Patinopecten healeyi ). These beauties are in the collection at the Natural History Museum of Los Angeles. 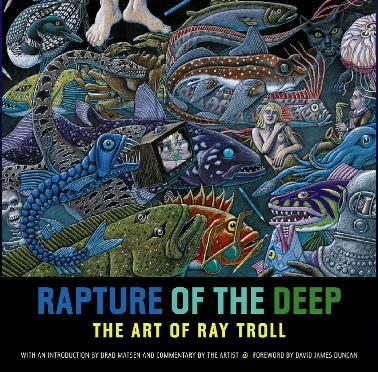 Signed Copies now available in the Ray Troll online store. 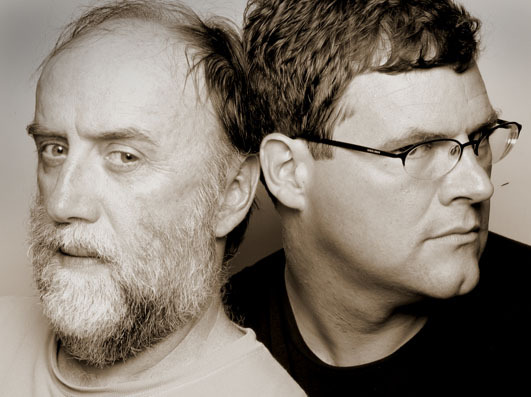 Listen to our online interview with NPR’s Weekend Edition. 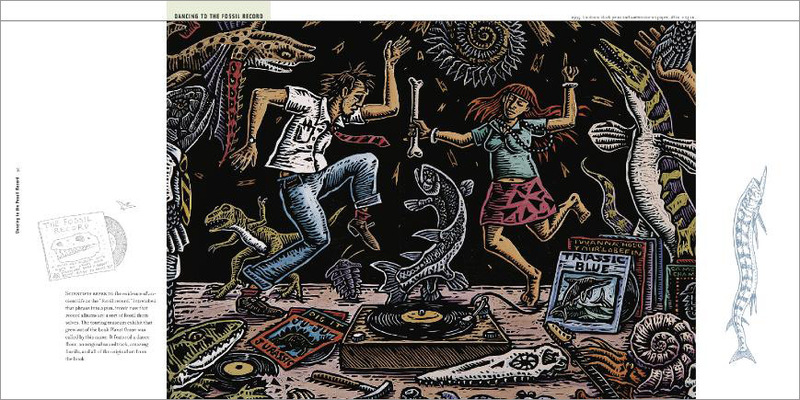 “In Cruisin’ the Fossil Freeway, Kirk Johnson and Ray Troll recount their rollicking road-trips through the Rocky Mountain region, and their writing and artwork tell the tale of the fossils, food, and friends they meet along the way. Paging through the book is like being chauffeured by a pair of paleontological prestidigitators across America’s prime fossil real estate. Kirk’s writing conjures up multiple layers of history from the landscapes they pass through: the ancient environments where sediments accumulated and hardened into rock, the processes that brought these rocks to the surface and shaped the current scenery, and, most of all, the ongoing stories of discoveries made by scientists, collectors, and fossil fanatics throughout this geologic wonderland. 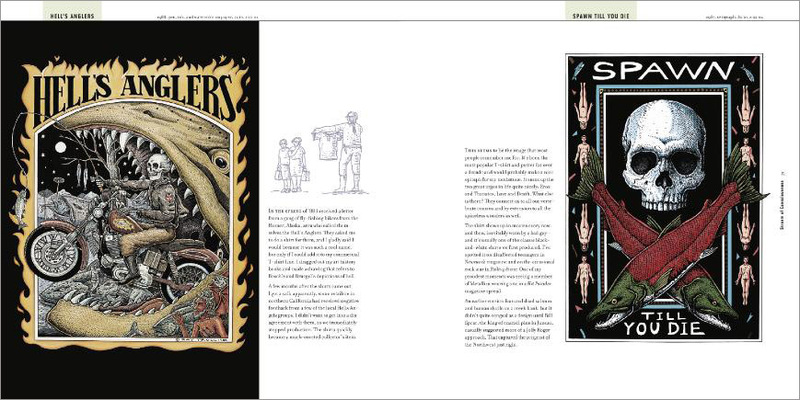 Ray’s artwork brings each of these histories to life and mixes them together in a sort of deep-time gumbo: dinosaurs rise from the dead and amble alongside pickup trucks and gas stations, prehistoric mammals pose for portraits, and wide-eyed ichthyosaurs and half-coiled ammonites dreamily float alongside monster movies and cheeseburgers. Signed copies of the book can be found in our webstore. 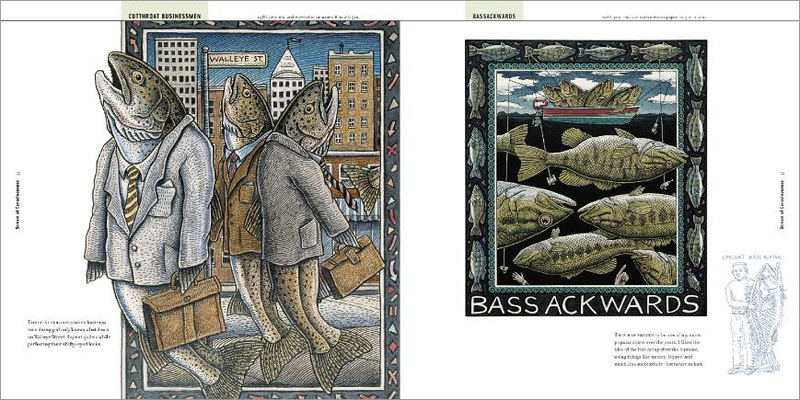 Over the past 25-years, Ketchikan artist, naturalist, author, and musician Ray Troll has merged art and science in a way that appeals to just about everyone. Likely inspired by the recent Alaska Folk Festival appearance of his eclectic and multigenerational (son Patrick is the drummer) band, Ray Troll and the Ratfish Wranglers, the drawing is of a whimsical trio. 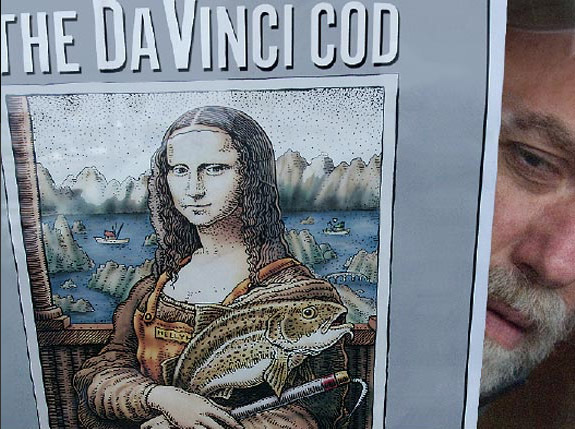 Troll’s pun-filled fish art has become Alaskan legend. “‘Spawn Till You Die,’ would probably make a nice epitaph for my tomb stone,” he notes. 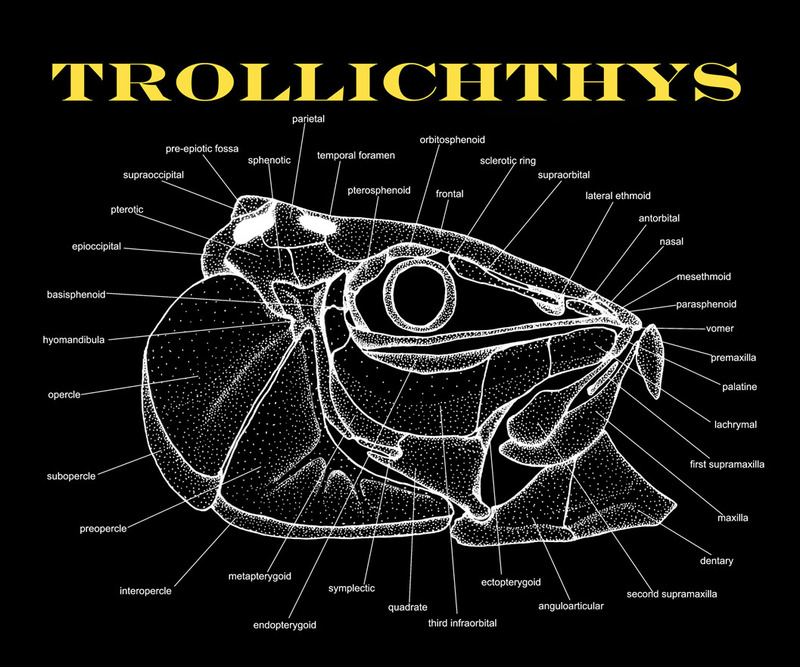 The well-known scull and cross sockeye salmon design is on t-shirts worn by rock musicians, movie stars and countless summer visitors. 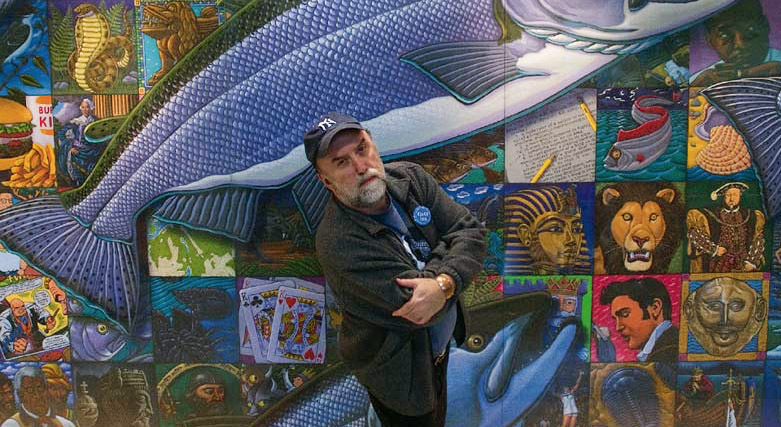 Troll’s murals hang in public spaces and schools from Southeast Alaska to Washington D.C. He’s been commissioned to create a mural for the renovated Novatney building at the University of Alaska Southeast’s Juneau campus. He’ll craft it on the 20 foot tall back wall of his studio. A ladder leads to a second floor office. Crane your neck and look strait up to the ceiling, and there’s the underside of a bed frame suspended between wood beams. “That’s the spawning bed,” he quips. Troll walks over to a bookcase and picks up a handful of personal journals. They hold sketches and writings documenting his creative process from the time he arrived in the salmon and rain capital with a Master in Fine Arts from the WashingtonSate University in 1981. Stints as a court room artist and on the slime line led to a position teaching art at the UAS Ketchikan campus. 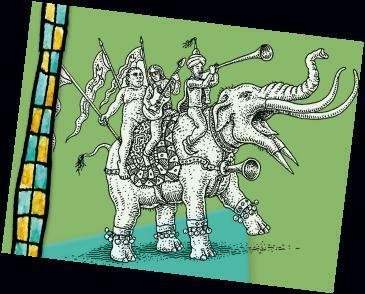 By the late ’80’s his unique creations became a career that keeps evolving as his art becomes more intricate and vibrant. 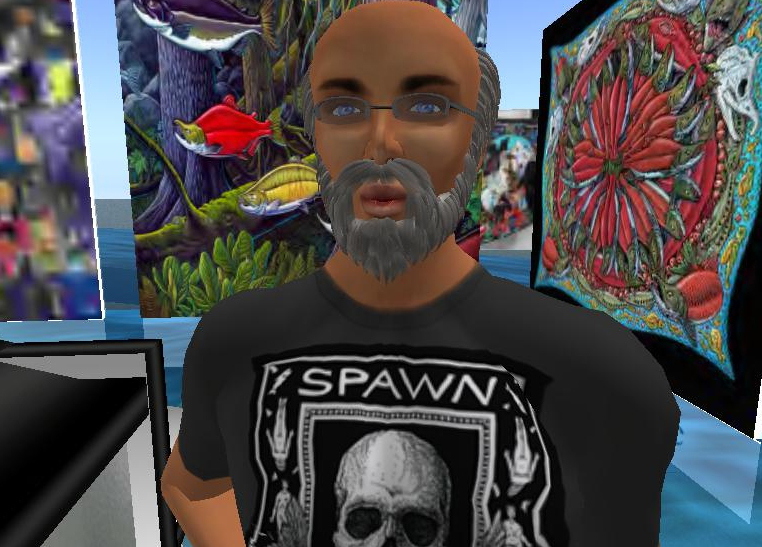 His t-shirts, hats, refrigerator magnets and prints are sold on-line and in K-town at the gallery-store owned by Ray and wife Michelle, Soho Coho. 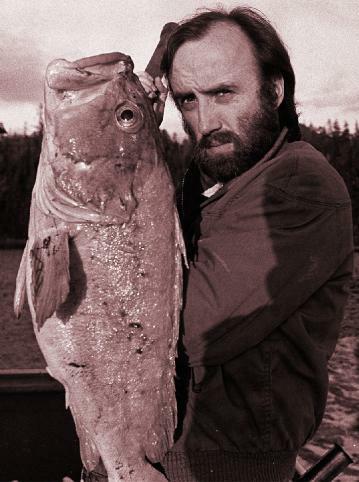 In 2006, Troll received the Alaska Governor’s Award for Individual Artist. In 2007, he joined John McPhee and Ansel Adams in being a recipient of the Gold Medal for Distinction in Natural History Art from the Academy of Natural Sciences in Philadelphia. 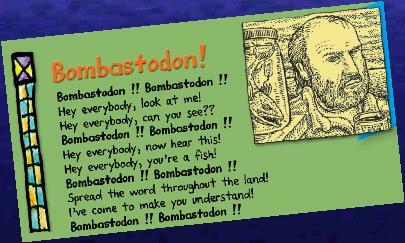 He even has a species of fish named after him (Hydrolagus trolli – a species of ratfish). 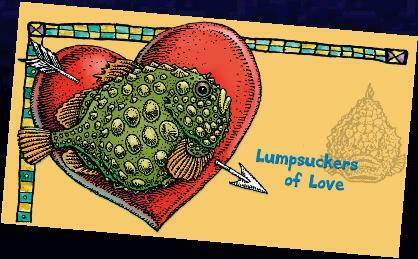 Troll’s fascination with the origin of life led to the dubious distinction and collaborative efforts with writers and scientists that have resulted in books and exhibits spanning the Amazon to San Francisco. Troll keeps rat fish close at hand in his studio (they are spotted and have rat-like tails), preserved in jars of alcohol. 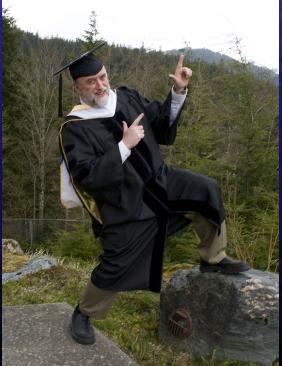 In the introduction to a 2005 retrospective of Troll’s art, long time friend and collaborator Brad Matsen wrote that one day Troll “should get an honorary Ph.D. acknowledging his role as one of the great science teachers of all time.” At graduation ceremonies in Ketchikan and Juneau this weekend, that vision will be realized. Troll will accept an Honorary Doctorate in Fine Arts from the University of Alaska Southeast.